Lo Sceriffo (The Sheriff) is a charming house ideally located, in the middle of a private park, next to a private pine forest, less than 100 metres from the sea. It is set in a beautiful garden, very peaceful, where you feel out of the world, but the beaches and the shops are just 150 metres from the house. The house is cosy and nicely decorated: it is a unique place. Absolutely amazing - from start to finish. Barbara is a wonderful host. From the welcome upon arrival to ensuring we had massages booked, as well as tips and tricks for the area. We were a family of Mothers and Daughter travelling together. The layout worked perfectly. The interior design is just charming. Hope to be back at some point! Very cozy. A bit of a climb to and from town but we enjoyed the exercise. Nice. Well kept. Comfortable. Picturesque. Thank you David for your great review. Cinque Terre’s accommodations usually need a massive climb - never ending steps. Compared to the average we are very lucky! 3 minutes to the beach and 15 minutes to town are definitely doable. And then one doesn’t feel guilty in eating all those “trofie al pesto”. We agree, it’s picturesque. We appreciate your choice of words. Thanks! Loved this gem in Monterosso. Barbara was such an amazing host. Her communication was top notch. My friends enjoyed this place and would come back again. It is a gem, you are right. A small, green gem. Thank you so much for your review - we do hope you are coming back soon! 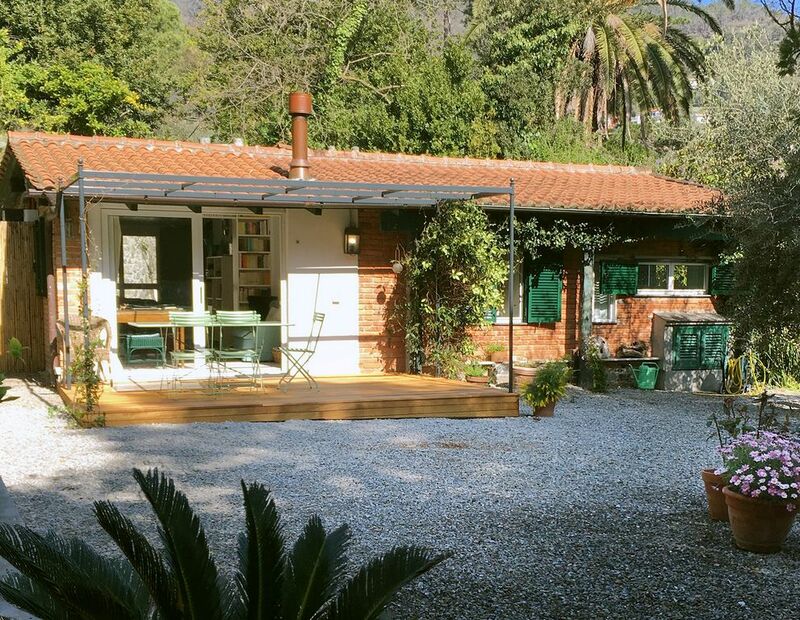 Just a short walk away from the beach in a secluded area of Monterosso. Barbara was an excellent host and provided great restaurant recommendations and tips for our stay. Ideal for a small group or family. I’d stay again! On our very 1st evening, while walking to town, we were blessed with a view of the most beautiful moonrise which shimmered off of the sea. Magical! Welcome to Cinque Terre! Lo Sceriffo is an adorable, comfy, cozy cottage close to the beach and town. The location is ideal. Barbara made us feel welcomed and right at home. The area is beautiful! Hiking, swimming, pesto making classes & a winery tour were experiences not to be missed! This was definitely one of our favorite holidays! We LOVE Cinque Terre and Lo Sceriffo! This is a lovely review! And Cinque Terre welcomed you in a proper way - the moon should always be there, shining on the sea. Also, we are so very happy that you appreciated our little, cozy place. We try to keep improving it, year by year. Thanks again! We do hope you are coming back to lo Sceriffo! The house is just as advertised. Great location a short walk to a publc beach and close to the train station. Walking to explore the old town took no more than 15 or 20 minutes. All the amenities needed were there. There is a hill to walk up (to be expected) and the showers were small but a very comfortable place to stay. Karina and Barbara were very helpful throughout the entire process and provided great tips to help us enjoy our stay. Dear Keith, thank you for taking the time to write a review. We are happy that you enjoyed your holiday and we hope you are coming back soon! by train - 400 metres from the railway station. You can come by car (with the motorway Genova-La Spezia: exit Carrodano) but if you're staying at lo Sceriffo you don't need a car and you can easily move around walking or by train, if you want to visit the other 5 Terre. Monterosso is one of the favourite spots of international tourism. Besides the charm of the location, the beautiful sea and beaches and the Marine Natural Park, there are many places where you can eat and drink and in the summertime they organize music events and different kinds of entertainment. Even if there are many restaurants only few are really good: we suggest Barabba in White for the pizza and Miky in Fegina, Moretto and Oscar in the old village, and La Tortuga, halfway between Fegina and the Old Village. Deposito cauzionale, Caparra richiesta alla prenotazione, Proprietario non presente in loco. Cancellazione Non è vero che non è previsto nessun rimborso; purtroppo però le opzioni che ci da il sito non corrispondono alla nostra policy e abbiamo quindi scelto quella che ci si avvicinava di più - anche se più dura della nostra. In caso di rinuncia del locatario non più tardi di 30 giorni dall'inizio della locazione il deposito cauzionale (50% del totale), verrà trattenuto in compensazione. In caso di rinuncia tra i 29 e i 20 giorni prima dell'inizio della locazione, il 60% del totale verrà trattenuto in compensazione. Tra i 19 e i 10 giorni prima dell'inizio della locazione, l'80% del totale verrà trattenuto in compensazione. Tra i 9 e i 3 giorni dall'inizio della locazione, il 90% del totale verrà trattenuto in compensazione. Qualora la rinuncia avvenisse dai 3 giorni prima in poi, non vi sarà alcun rimborso. Cancellation policy It is not true that no reimburse is given; unluckily the options of the website don't correspond with our policy - so we had to choose the one closer to ours - even if tougher. In case of renounce of the tennant no later than 30 days before the start of the rental, the security deposit (50%) will be retained in compensation. In case of renounce within 29 and 20 days before the start of the rental 60% of the amount will be returned in compensation. Within 19 and 10 days before the start of the rental 80% of the rent will be retained in compensation. Within 9 and 3 days before the start of the rental 90% of the rent will be retained in compensation. Within 3 days before the start of the rental no reimburse is given.